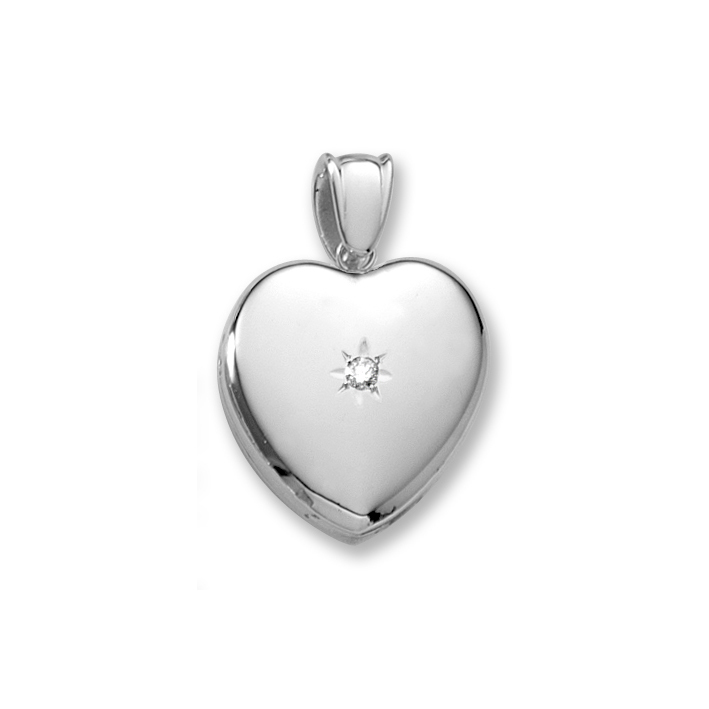 Sterling silver rhodium 24mm (0.944in) handmade premium heirloom large heart locket with a 0.04 ct. tw. genuine diamond in center of locket. 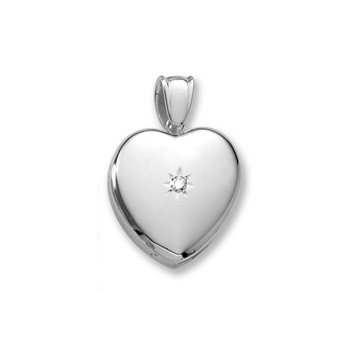 Also available in a smaller diamond heart locket. 20" sterling silver rhodium chain included.